Mr. P Chill is an independent hip hop emcee and producer with over two decades of experience as a recording and touring artist. With the forthcoming release of his 12th full length album, The Beautiful Revolution (2017), there is no sign that this Sacramento legend is stopping any time soon. Beginning his career as a recording artist in Sacramento, CA in 1992 with the release of his former group’s first cassette single, Chill has not only embraced what it means to be an emcee, but has also shown a flair for entrepreneurism as he has chosen the path of independence. Over the next ten years, he remained active with his former group, recording and performing as well as being involved in the production of various projects from other Sacramento artists. Around the turn of the century, Chill was less active with music as he was faced with a crossroad. In 2001, he disbanded his original group and decided to go solo. The first release was his self titled debut album in 2002. Also that year, Chill began touring the West Coast, performing shows in various bars and small music venues in support of this record. By 2007, Chill was performing an average of 50-60 shows a year all over California, Nevada, Oregon and Washington, while maintaining a full time day job. In 2010, after burning the candle at both ends for a decade, Mr. P Chill went walked away from the 9 to 5 and devoted 100% of his energy to music and touring. In the six years since, he has expanded his touring to cover the entire US at least once per year, alongside smaller regional tours throughout the year. Chill spends on average, ⅔ of every calendar year on the road, performing songs, selling merchandise and most importantly, connecting with fans. Also in recent years, Mr. P Chill has had the pleasure of collaborating in the studio and sharing the stage with legendary emcees such as Spyder-D, 2Mex, Percee P, The Great Peso (Fearless Four), Sach Illpages (The Nonce), Sage Francis, Bone Thugs-N-Harmony, Terminology, Masta Ace and Fatlip (The Pharcyde), just to name a few. Most notably, his single with hip hop pioneer, Spyder-D, entitled “No Regrets” spent several months in rotation on college radio from coast to coast in late 2015. In October 2015 the song was featured by the legendary founder of Public Enemy, Chuck D, on his weekly radio show, “Songs That Mean Something”, on WBAI Radio in NYC and streamed worldwide on rapstation.com. The future looks bright for Mr. P Chill, a man who remains focused as he enters his prime. 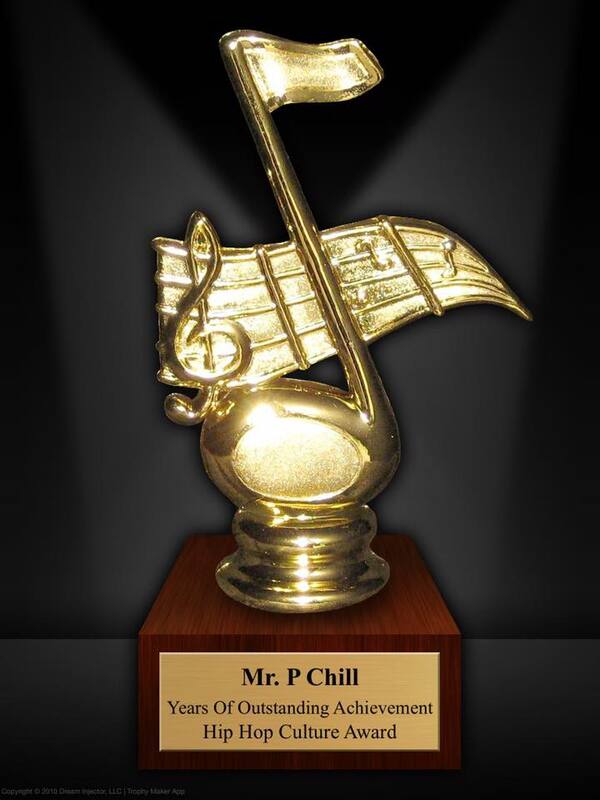 Chill is guided by his positive attitude, his heartfelt lyrics and his connection to hip hop’s golden era. Some people say that when you get to be over 30 years old, your career as a musician or performer is nearing it’s end, but for Chill at 42, he seems to be gaining more momentum than ever! Join the conversation, see tour photos and more by searching for #ChilligansArmy or #MrPChill.